Three tier wedding cake at Southend Barns, Chichester, West Sussex. 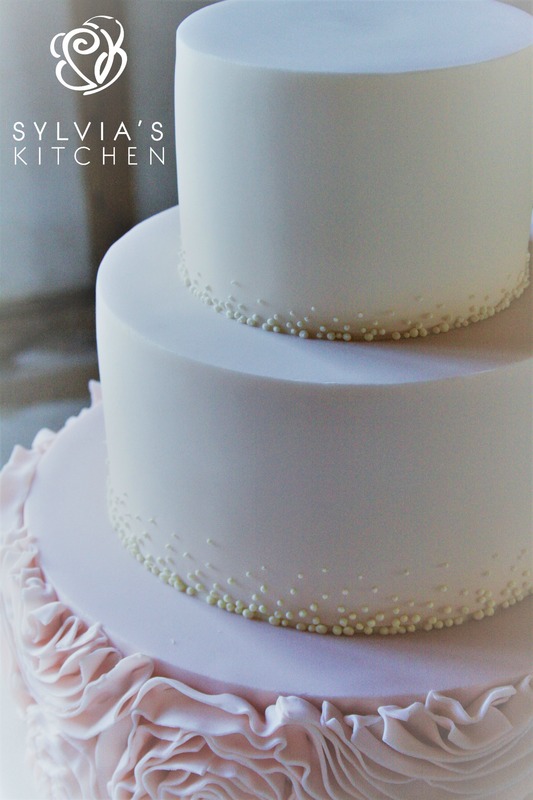 Top two tiers iced in ivory finished with sharp edges and graduated piped micro dots from the base of each tier. 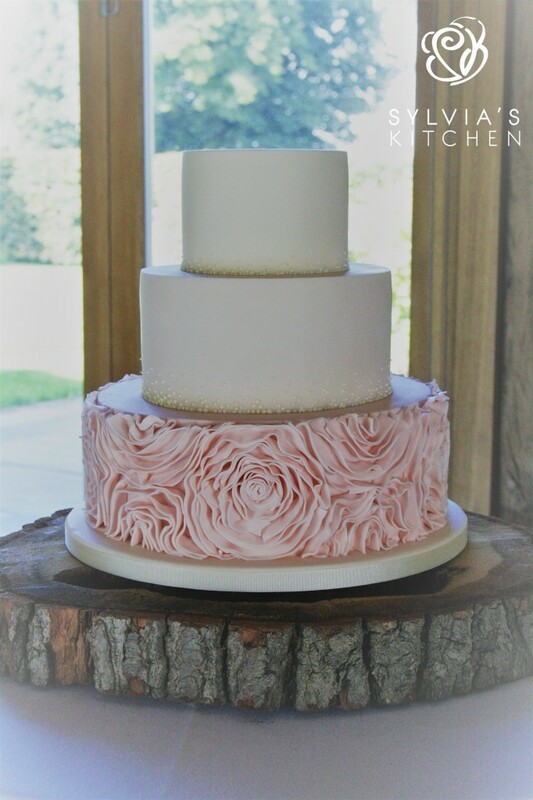 Base tier finished with pale pink sugar ruffles. Base tier of Belgian couverture chocolate sponge with whipped chocolate ganache filling, tier one of moist fresh carrot and walnut sponge with whipped orange oil and orange zest buttercream and tier two of Madagascan vanilla sponge with whipped Madagascan vanilla buttercream and raspberry conserve. Cake serves 110 finger portions.